I honestly have to say the way I became a member of this organization was simply by faith… I did not expect to meet these ladies and actually Blossom with genuine friendships from this…. but my God he is so amazing… it is very refreshing to know that there are still people out there praying with you and not against you…. I love how this organization whole heartedly believes in what Erica Wilson and her sponsors are doing…. 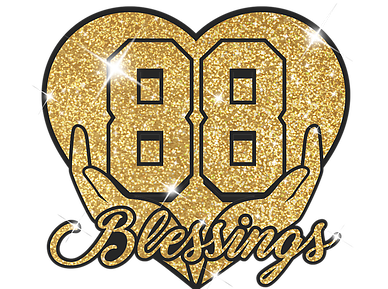 I am proud to be a member of 88 Blessings….